​A rule change that could be dubbed the "Nick Saban Rule" has been approved by the SEC. Recently, Bama coach Saban has come under fire for invoking the grad transfer rule. 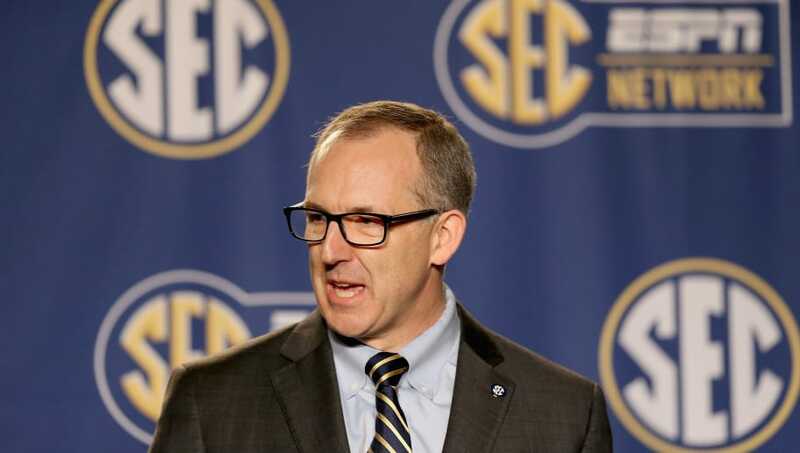 The former rule allowed coaches to block graduate transfer players from going to schools within the SEC or they would have to sit out a year before regaining eligibility. The rule had caught the ire of many in college football. Now, thankfully the SEC presidents have voted to end the preposterous rule. (Maybe that's why Saban was stranded on a boat, the rest of the SEC didn't want him around advocating against the rule change.) With the rule change, grad transfers are free to transfer to teams in the conference without penalty. The rule change specifically will affect wide receiver Van Jefferson and center Brandon Kennedy. Jefferson transferred out of Ole Miss to Florida and will now be eligible immediately. Kennedy was one of the players Saban had blocked from transferring within the conference. He is expected to explore options of playing at Tennessee and Auburn. The SEC presidents also voted on another rule that involves high school recruiting. Teams will no longer be able to accept recruits who have been convicted of a serious misconduct felony such as sexual assault and domestic violence. Both rule changes receive an A+ rating in my book.